salted caramel, cassis with black currant and mango. Coquette Patisserie is a little french pastry shop that also serves wine, beer and oysters. It opened up earlier in the year on Euclid Avenue on the northern end of Uptown in University Circle. 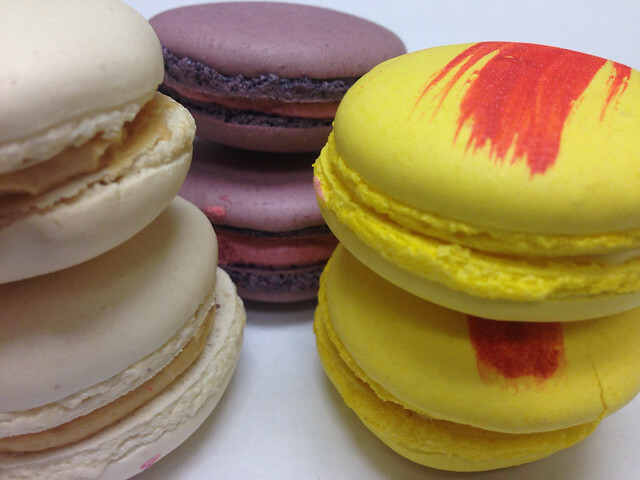 I have been there a handful of times and always have to bring the girls home some macarons. Last Friday’s selection were all very tasty.